I just came back from my third M3 conference, and again, it was incredible, invigorating, and so inspiring – filling me and my family up with passion to continue to go forth and try to love every single person – in our local mission work at our jobs and abroad. 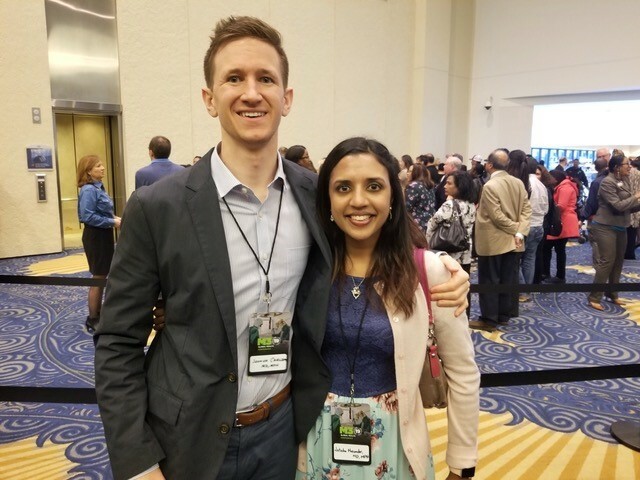 I was able to speak with our good friend, Paul Osteen, who prayed over me and Natasha and our residency match last year, and since then it has been a whirlwind. This year was especially important because last year, I came with my friend Natasha, who I have been close with for nearly 6 years now since medical school. Last year, the conference hit us so hard, uniting us so closely, that I knew I was supposed to marry her! It all happened on M3 weekend! We got engaged 2 months later in April! This year, we went back as an engaged couple, preparing to get married in 2 months, to continue to pursue what God has placed on our hearts. We both did our MD/MPH in Grenada and have done global mission work and continue to feel God pulling us to serve Him completely in medicine, ministry, and public health. M3 unites you to people around the world, as well as those closest to you. We are a living testimony! We are finishing our first year of residencies, just did a major project last April in Grenada with Project C.U.R.E. and Medicine With a Mission, and are planning on preparing for the next adventure. Please share our story and let others know that if people come to M3, their lives will be changed forever! We at M3 love hearing how M3 impacts lives in such incredible ways! Thank you Joshua and Natasha for allowing us to be a part of your story. The next M3 Conference is set for February 21-22, 2020, where we will continue to help people connect with others, be inspired, and find their mission. Click here to register today!